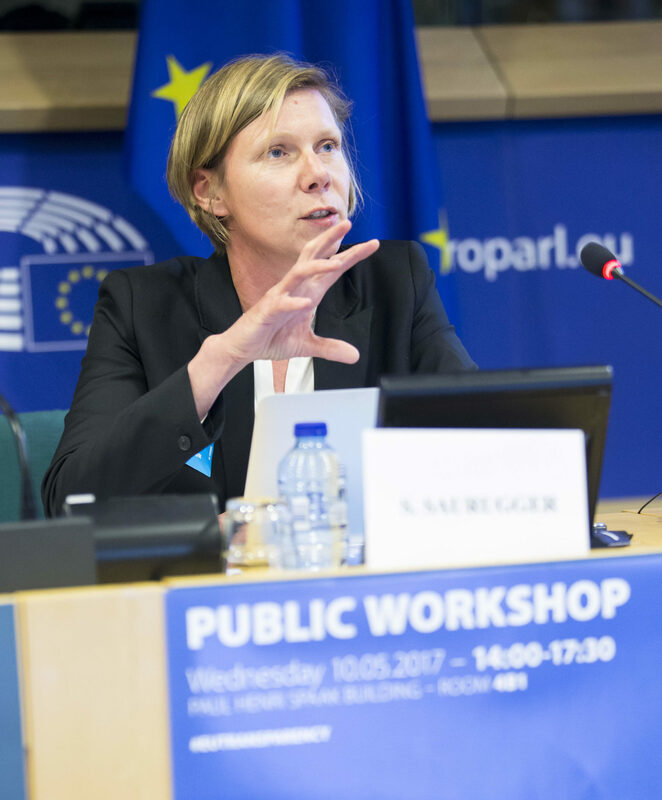 Sabine Saurugger is a full professor of political science at Sciences Po Grenoble and a junior research fellow at the Institut universitaire de France (IUF). After studying political science and international relations at the Universities of Vienna and the Free University of Berlin, she obtained a Master’s degree and Sciences Po Paris, where she also completed her PhD in 2001. From 2001 to 2002 she was assistant professor of Political Science at Sciences Po Lille, from 2002 to 2005 associate professor at Sciences Po Grenoble, where she became full professor in 2005. Sabine Saurugger has held research fellowships and visiting professorships at the Universities of Lausanne, Oxford (Nuffield College), Montréal (UdM) and Bruxelles (Université libre de Bruxelles). Currently she is Dean of Research at Sciences Po Grenoble and co-directs its ‘European Governance’ Master’s programme. She is member of a number of editorial boards, amongst which the European Journal of Political Research, Journal of European Public Policy and Revue française de science politique. Her research concentrates on interest groups in comparative perspective, theories of European integration and the politics of law in the European Union. She has published in journals such as European Journal of Political Research, Journal of European Public Policy, West European Politics, Political Studies, Comparative Politics or Revue française de science politique. Her most recent book, Theoretical Approaches to European Integration has been published by Palgrave, and she is currently preparing a book on the European Court of Justice with Fabien Terpan. Clement Fontan and Sabine Saurugger (2019). Between a rock and a hard place: Preference formation in France during the Eurozone crisis. EMU Choices Working Paper. Saurugger, S. and Terpan, F. (2018) The Court of Justice of the EU, conflicts of sovereignty and the EMU crisis. EMU Choices Working Paper.